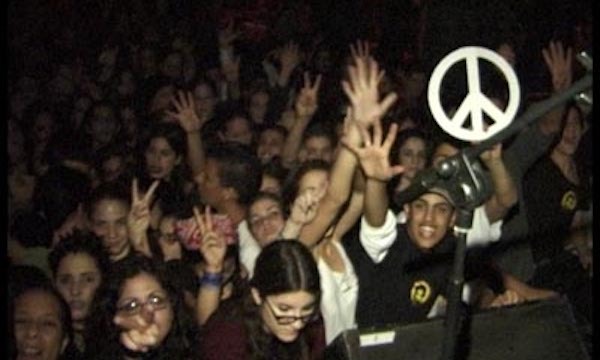 Aviv Geffen, Israel’s leading rock artist is rapidly becoming a mythic figure – from a struggling underground rock star to being the last person to embrace Yitzhak Rabin moments before the Israeli President’s tragic assassination at the mass rally. The charismatic, openly bisexual, and politically vocal singer-songwriter has become the Jim Morrison of his country, a simple sincere voice that represents integrity for a troubled young generation. Yet with this overwhelming success, his life and career have become more controversial, as his beliefs and life choices are questioned by Israeli society and even by his most diehard fans. Directed by Tomer Heymann, this feature documentary follows the life of Aviv Geffen and chronicles the ups and downs of his career, his family roots, and how he finds the inspiration to write music, all while under relentless media scrutiny.